Meathead Movers is here to take care of the heavy lifting for you on your move to Homeland. Our clean-cut student athlete movers are ready to get you safely settled into your new Homeland home. 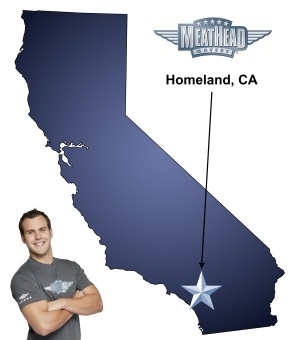 With just under 6,000 residents, Homeland, California, is a small town with charm, that is proudly served by Meathead Movers. We are ready to assist you and your family with moving to Homeland and getting settled in a quiet lifestyle. Moving to a small town is something many people add to their bucket list. Small towns have a different feel than larger towns and cities. Here in Homeland, people will likely know your name when you shop for groceries or celebrate a family event at a Mom and Pop restaurant. Outdoor enthusiasts often pick Homeland for its quiet inland location, in close proximity to the beautiful San Jacinto Mountains. A short drive down Highway 74 helps you transition seamlessly to the Idyllwild National Forest Highway. In Homeland, you are also a short drive from Lake Perris State Recreation Area with a regional Native American museum and the Upland Hunting Area. In this part of the state, you can enjoy countless trips joyfully exploring deserts, mountains, forests, lakes, and Pacific coastal areas. The dedicated team of Meathead Movers is proud to offer residents the convenience of personalized local, long-distance, and commercial moving. We believe in getting your household contents safely from one residence to another hassle-free. You can trust our Princess Packers, to carefully pack away your home’s contents and safely loading them into the moving truck. A hallmark of Meathead Movers is the demonstrated athleticism of our student-athlete movers, who jog when they are not carefully handling your belongings. Our distinctive moving concierge service will offer customer support7 days a week and can even connect you with local service providers. Moving to Homeland? Here are some helpful resources.